Ask A GlenEagles MARKET EXPERT! DESCRIPTION This home offers unbelievable River Valley and Mountain views high above the Town of Cochrane on the prestigious Gleneagles Estates Lane. Everything has been upgraded in this home including 10 ft ceilings, custom closets with built in storage, heated floors, the latest in light fixtures and Hunter Douglas window coverings. The open concept main floor will meet all of your entertainment needs with its custom gourmet kitchen including a huge island with storage, dual drawer dishwasher, countertop gas stove and dual ovens with quartz countertops throughout the home. The master suite on the main floor is a beautiful retreat complete with built in closet organizers in the walk in closet and spa like ensuite. This fully finished walkout includes 2 large bedrooms and 3 pc bathroom with steam shower on the lower level. On this level you will also enjoy the huge recreation room, living room area with fireplace as well as a wet bar and wine cooler. Home for sale at 100 Gleneagles Estates Ln Cochrane, Alberts T4C 2H7. 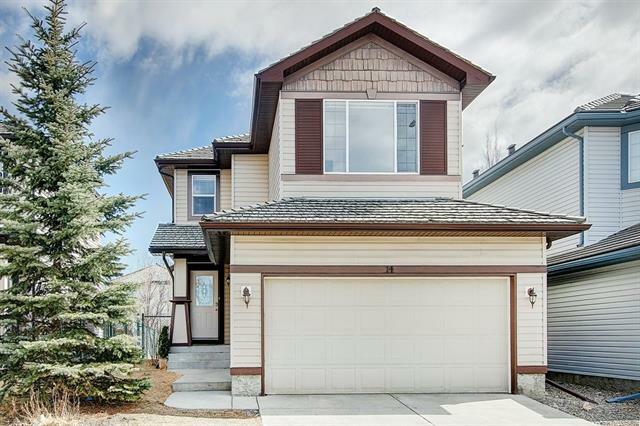 Description: The home at 100 Gleneagles Estates Ln Cochrane, Alberta T4C 2H7 with the MLS® Number C4184666 is currently listed at $749,900.